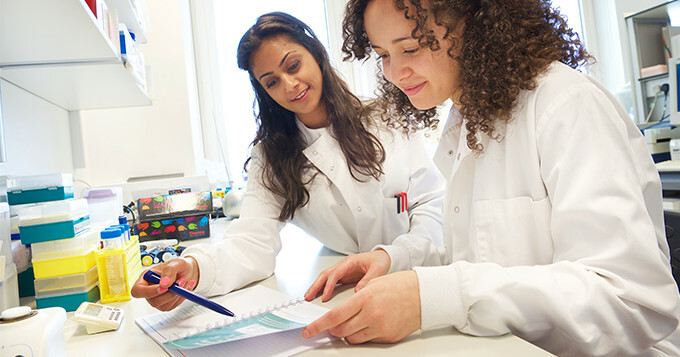 If you’re a science undergraduate that is on or has completed a year in industry, or if you’re a graduate in your first science job, the Working Towards RSci programme can help you connect your experience in the workplace to what’s expected of a professional scientist. Applicants for RSci are expected to provide evidence of their competences: skills gained through experience alongside learning. Because it takes more than a qualification to become a registered professional scientist Working Towards RSci programme has been designed to support you. How will Working Towards RSci help me? The Working Towards RSci programme uses the standards and competences expected of a full Registered Scientist to provide a framework for you to build and develop your workplace skills. It gives you the tools to identify where to improve and grow your experience. in your final year of study having previously completed a year in industry. If you’re not sure if your employment experience is relevant, drop us a line at registration@sciencecouncil.org. This programme will help you build a body of evidence to use in job interviews. In a competitive environment, where lots of people have degrees and masters, you will be able to stand out from the crowd. The workbook will provide potential employers with evidence of your competence and skill to do the job they’re hiring for. 1. A printed handbook in the post, which provides guidance on how to identify opportunities for professional development and lots of space for notes! Here’s an excerpt to get a flavour of what the handbook contains. 2. A status you can include on your CV, conferred by the Science Council. 3. Evidence of your employability: proof that you take initiative and examples you can bring to job applications and interviews. 4. Exclusive access to ongoing advice and support with your professional development. The Working Towards RSci programme will set you on the path to applying for full Registered Scientist status. It may take a few months, it may take longer, depending on the level of experience you’re able to gain over time, and the Science Council team is here to help you every step of the way. It is free to sign up and benefit, so what are you waiting for? Contact us now to sign up to the Working Towards RSci programme!